When Rodney Little Mustache attended the AMS VP Academic and University Affairs (VPAUA) by-election debate this past September, he asked both candidates if they would support developing an Indigenous committee. He was met with a mixed bag of student governance rhetoric and on-the-spot enthusiasm. “I would have to look at the specifics of it,” said candidate Franz Kurtzke. A month later, Little Mustache — a third-year GRSJ mature student and a member of the Piikani Nation of the Niitsitapi Confederacy — submitted a letter and an accompanying proposal outlining actionable items that he recommended the AMS take to better support and represent Indigenous students on campus. He sees the issue as one of first and foremost low Indigenous enrolment at UBC. “I would love to see more First Nations students here, and I would love to see their funding increased,” Little Mustache said in a November interview with The Ubyssey. He suggested a referendum declaring UBC student’s support for increased federal funding for Indigenous students as one potential initiative to accomplish this goal. He also pointed to several specific areas where the committee could come into use: the presence of Indigenous performers at AMS events as well as advocacy regarding Indigenous admissions processes, housing and post-secondary funding options. “When I started here, I started going to the AMS meetings. There was no First Nations there — and I was shocked to see that,” Little Mustache said. He also hopes that this committee would increase sensitivity training within the AMS, particularly regarding the rhetoric that campus leaders use when speaking about potentially triggering topics like Indigenous issues or sexual assault. Little Mustache pointed to a few top Canadian schools that do have Indigenous-specific structures in place as examples that the AMS should follow. McGill’s SSMU has an Indigenous affairs working group as well as an Indigenous sub-committee under a joint Board-Senate committee on equity. The University of Toronto has a social justice and equity commission which includes their Indigenous sub-commission. 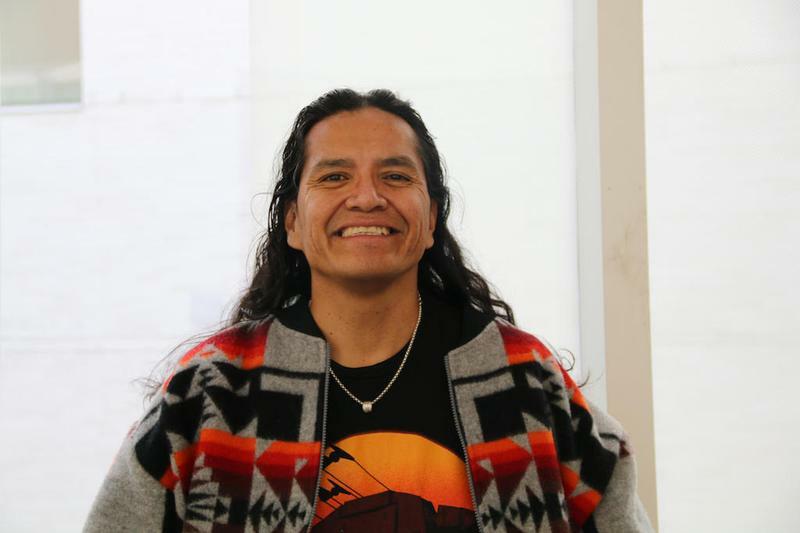 He acknowledged the existence of the Indigenous Officer of Council, which is currently an AMS position under the Equity Caucus, but thinks that a group would provide more effective advocacy and community-building. He pointed to the revamping of the Musqueam Nation communications policy — which is coming up on its mandatory three-year review — and the continual reexamination of the Academic Experience Survey as examples of initiatives that the AMS is taking under the umbrella of Indigenous issues. But the AMS will not be creating a standing committee — a permanent entity mandated to report to bi-monthly Council meetings — on Indigenous issues. “The reason for that is because Indigenous communities are going to be better represented, and we’re going to be able to get more input from Indigenous communities, if we have an advisory group,” Holmes said. This advisory group, he said, could meet with Holmes once a month for discussion on current issues and to “inform [his] advocacy,” much like the existing VP Academic caucus. He envisions it as made up of Indigenous students, professors and community members —whereas a standing committee, by AMS Code, would have to contain too many councillors who might not understand the issues. Holmes said that another reason would be because the AMS just conducted — and is still in the lengthy process of implementing — their governance review, it is generally best practice to wait before making additional or different structural changes. That review, which was conducted by the independent firm MNP about two years ago, made many its final recommendations based on interviews with AMS councillors. No councillors were Indigenous students at that time. “The ultimate goal for creating is to have more informed advocacy,” said Holmes. “A First Nations perspective within the AMS, a larger voice, would show that we are willing to work with the AMS. It’s a first step, and then we can work on things after that. ... It’s a give and take. That’s part of reconciliation: honouring our past and what we’ve been through, and we can honour you in certain ways as well,” said Little Mustache.